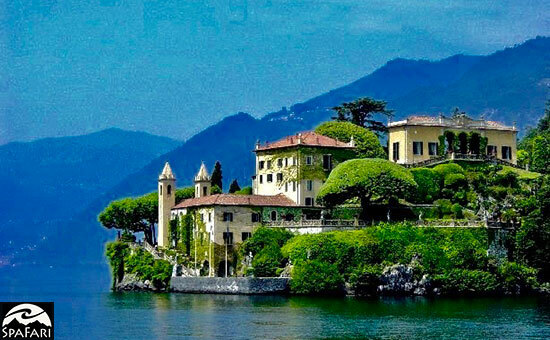 Lake Como is called one of the most romantic lakes in the world and is shaped like a "y", with SpaFari's destination the cobblestone village of Bellagio, called the "Pearl" of Lake Como, right at the center of the "y" . Our timetable of May and June are when the scenery is most breathtaking -- pungent flowers are everywhere -- including wild peony that grow high on mountain trails. *September is also offered. 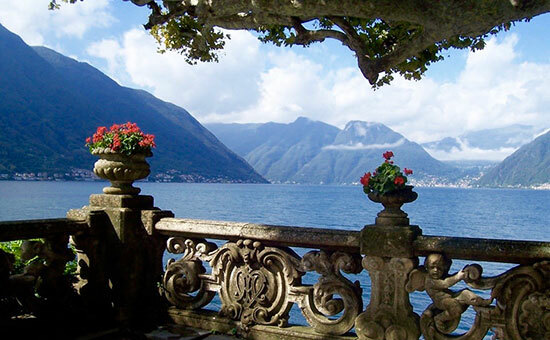 We have chosen Lake Como, Italy because no other place in Europe offers the physical beauty and idyllic old world charm as this spectacular region. 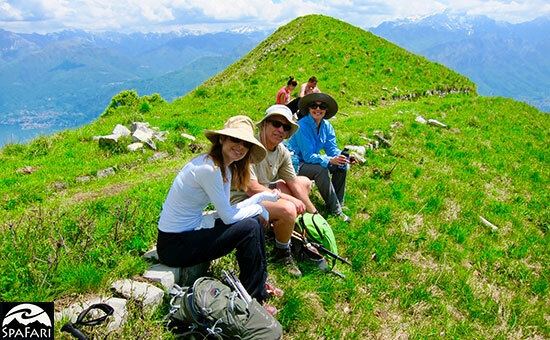 From the Glacier Lake and historical hillside villages to breathtaking vistas afforded by the Alps and Dolomites, this is a "hikers paradise." 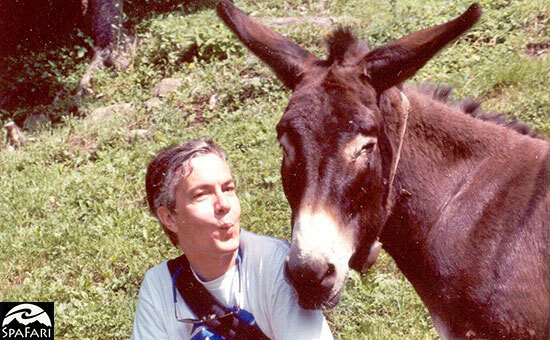 In designing an exciting all-inclusive itinerary for you to enjoy we have selected an abundance of beautiful trails to optimize your fitness level; yoga, massages and healthy food to rejuvenate you; and an interesting collage of cultural explorations to educate you. 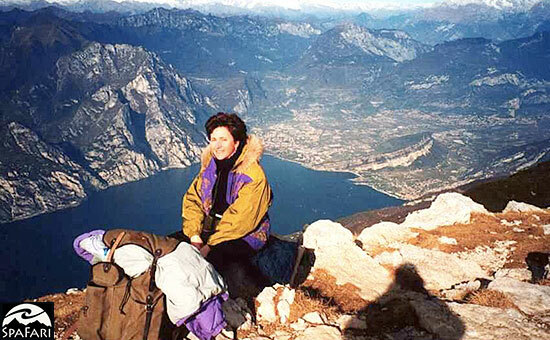 SpaFari' crew includes Italian naturalists and tour guides who are very knowledgeable of this region's geology, history, artistry and cuisine. 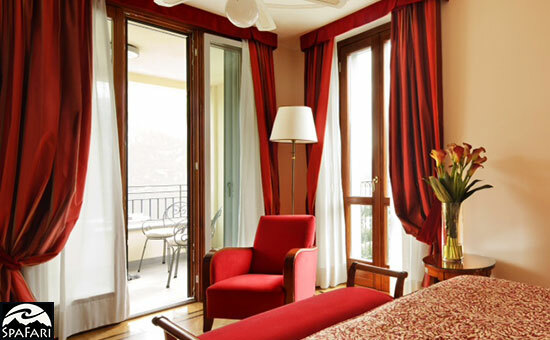 Open your doors at our 4-star Villa Garden Hotel to look out at the sparkling view of the lake and surrounding countryside: chateaux, olive groves, pictureque fishing villages, Alps and the snowcapped Dolomites in the distance. Begin your day with a yoga-stretch class to prepare your muscles for a day on the trails, enjoyed in an elegant Italian marbled room with French doors.... opening out to a view, of course; followed by our daily hike. 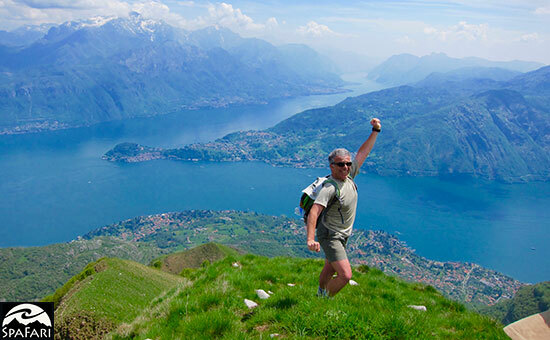 Most days' hikes (with daily mileage options suited to your individual ability) begin with a ferry ride to different trailheads and villages around the lake where you begin to hike up. 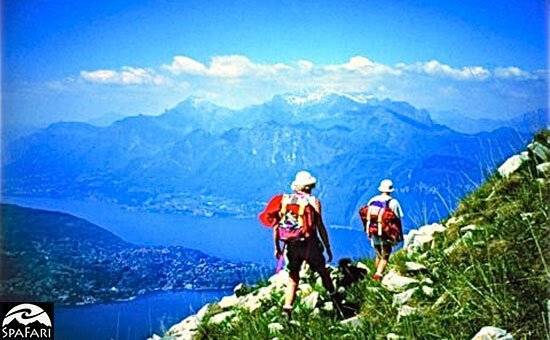 Hiking destinations include the Lombardian Alps, the Swiss Alps, Mount Grona, an old monastery high in the mountains, the mount of the cross (our crescendo hike of 4,200-ft gain) and the many little hamlets and pre-Alps around Bellagio. Returning from an exhilarating day, melt into the hands of a massage therapist (three therapeutic massages are included during the week) at our Spa and gym, with optional beauty and spa treatments also available. 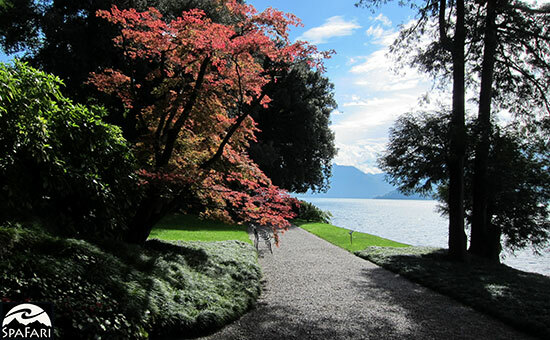 Afternoon cultural explorations include visits to neo-classical villas and their gardens; a silk factory in the town of Como; an evening of chamber music at the Villa Serbelloni; great shopping (leather and jewelry) in Como and Bellagio. 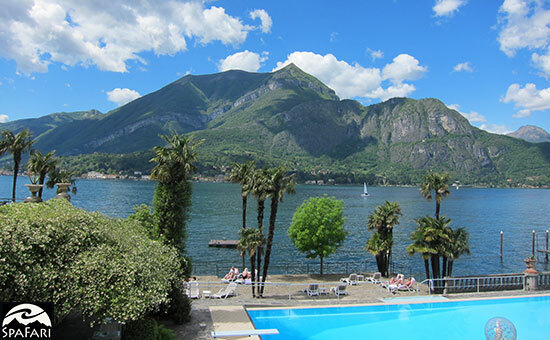 Delicious healthy dinners are organized for the group each evening, at either a picturesque lakeside restaurant in Bellagio, or at the 4 star restaurant in our Villa Garden Hotel. 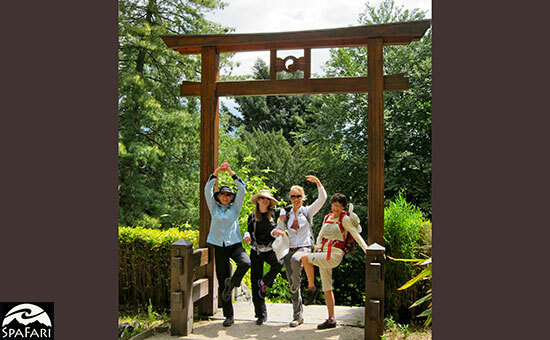 During your fun filled week you will learn empowering wellness habits. Lose weight if you need to... develop the stronger, energized body you've always wanted and return home feeling energized and uplifted. 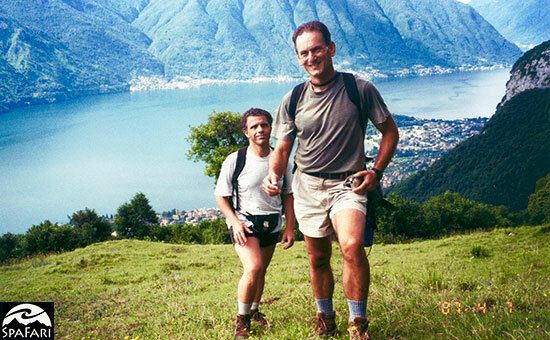 This trip is offered to people of all ages and fitness levels. 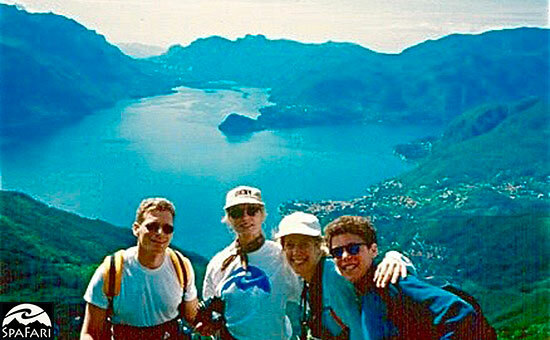 Getting to Lake Como with SpaFari: Depending on your U.S. departure city, airlines which service Milan's Malpensa Airport are: American, Delta, TWA, Continental, United, Alitalia, British Airways, Air France, KLM, Lufthansa, Scandinavian, Swissair and Iberia Lineas. Click here to search available flights from your departure city. 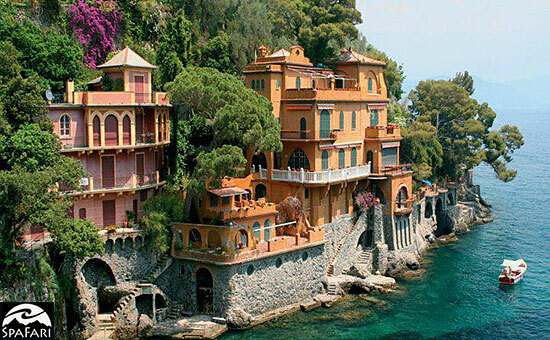 We will pick you up at the Linate-Milan airport at approximately noon on the first day of the trip. 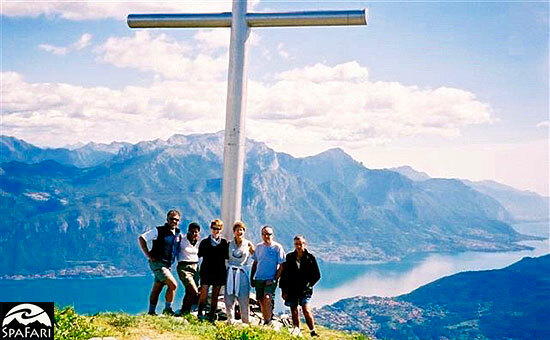 The comprehensive trip package of $8,875 per person, double occupancy is for Deluxe accommodation. There is an additional cost for single occupancy. 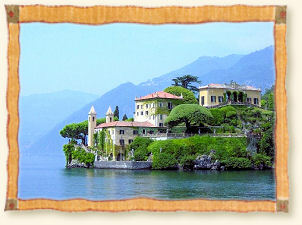 Sunday-Sunday 8-Day Lake Como trips are offered through May and September. 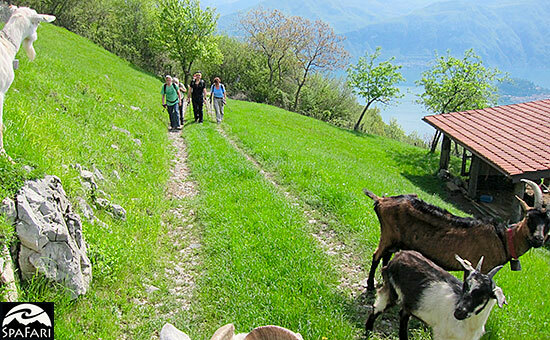 Other Choice Lake Como Accommodations range in price from Uniquely Comfortable, Deluxe and Luxury.